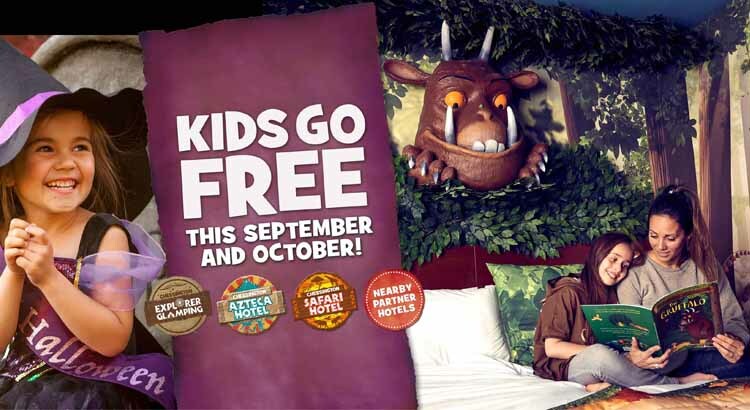 Whether you’re planning a family day trip, or fancy a short break to Chessington resort you will find their latest hotel deals, 2 for 1 vouchers and ticket discounts all in one place. Chessington World of Adventures Resort is a great place for a family short break. With attractions, rides and animals for all the family to see all in one place! Every visit brings a special adventure, with 10 themed lands to explore packed full of exciting rides and roller coasters, plus over 1,000 amazing animals to meet in the Chessington Zoo. You can also see African animals roaming free at the Wanyama Reserve or discover the mysteries of the deep in the SEA LIFE Centre. 19th March – 3rd November 2019. Opening times vary throughout the season. With so much to see and do, one day simply won’t be enough! Therefore we recommend you book into one of their fab hotels to make the most of your stay. The Chessington World of Adventures Resort is home to two fantastic on-site hotels. If you want to get closer to the action, a stay at one of the Chessington Resort Hotels is a must! ZUFARI: Ride Into Africa, a safari adventure like no other in a mysterious inhabited land. Madagascar Live! Prepare to Party!, an all-singing, all-dancing spectacular based on the popular animated films! 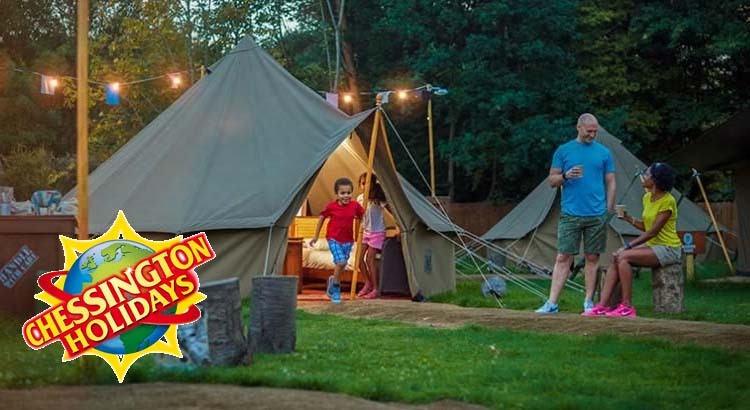 Why not enjoy a great deal at Chessington World of Adventures from just £40pp with their KIDS go FREE special offer — a great short break deal which also includes a second day free to explore the resort. 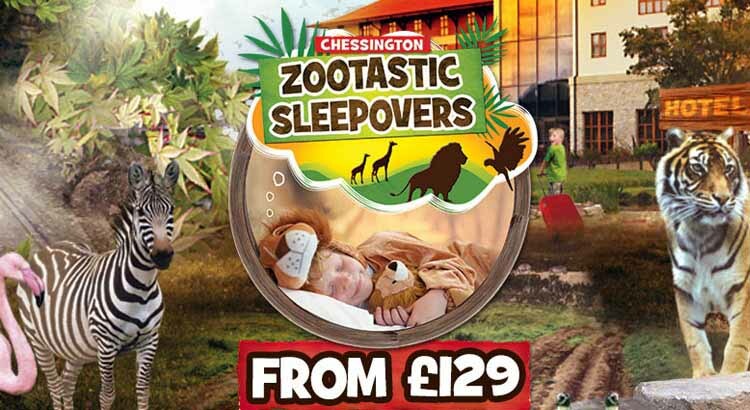 We have found this great offer for your little ones from Chessington Holidays. 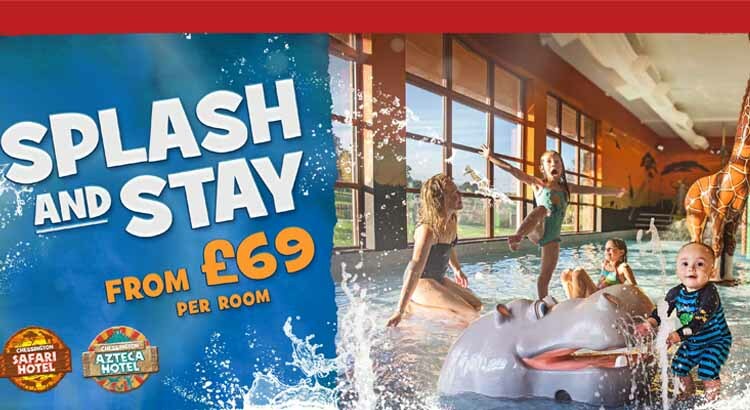 Experience their Splash and Stay short break packages from only £69! the perfect toddler break. Not only do you get to stay at either their specially themed Aztec Hotel or Safari Hotelbut you also get free entry to their Savannah Splash Pool and Wanyama Reserve. 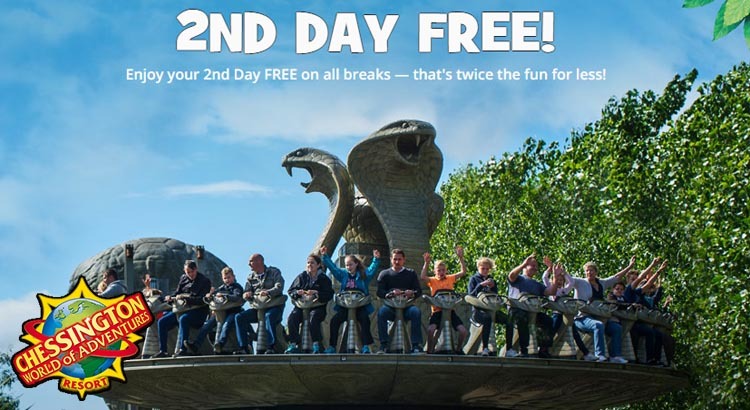 Make sure you add Chessington World of Adventures Resort on top of your list of places to visit this year by booking this great short break offer including Chessington 2 for 1 tickets. Prices start from just £194 per family, with Hotel, breakfast and 2 days for the price of one on resort included in all short breaks ! !